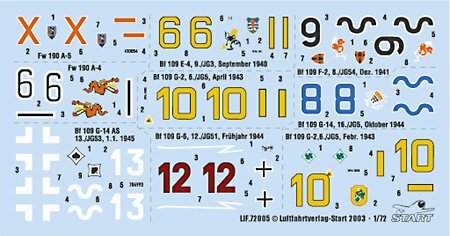 Available from Startverlag, publishers of 'Luftwaffe im Focus' are new decal sheets covering machines featured in their magazine issues. 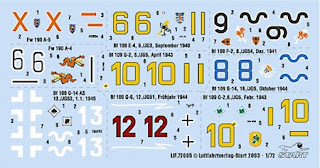 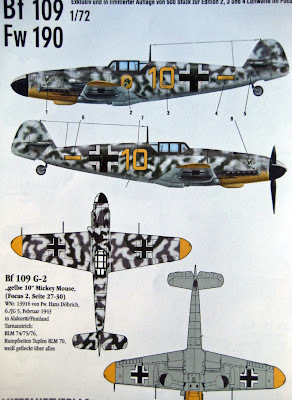 The 1/72 scale sheet features no less than seven interesting subjects for Bf 109 E, F and G variants and two markings for Fw 190 A. 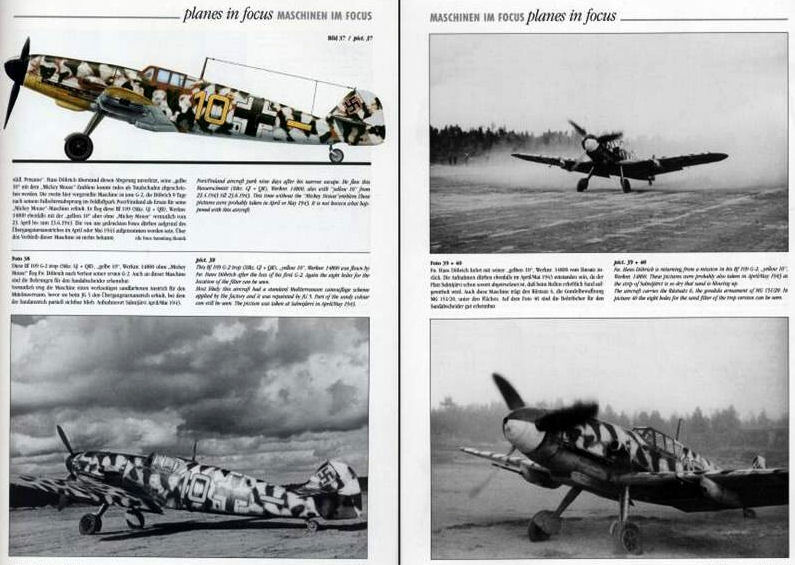 As mentioned they have all been illustrated in “Luftwaffe im Focus” magazine issues 2, 3 and 4. 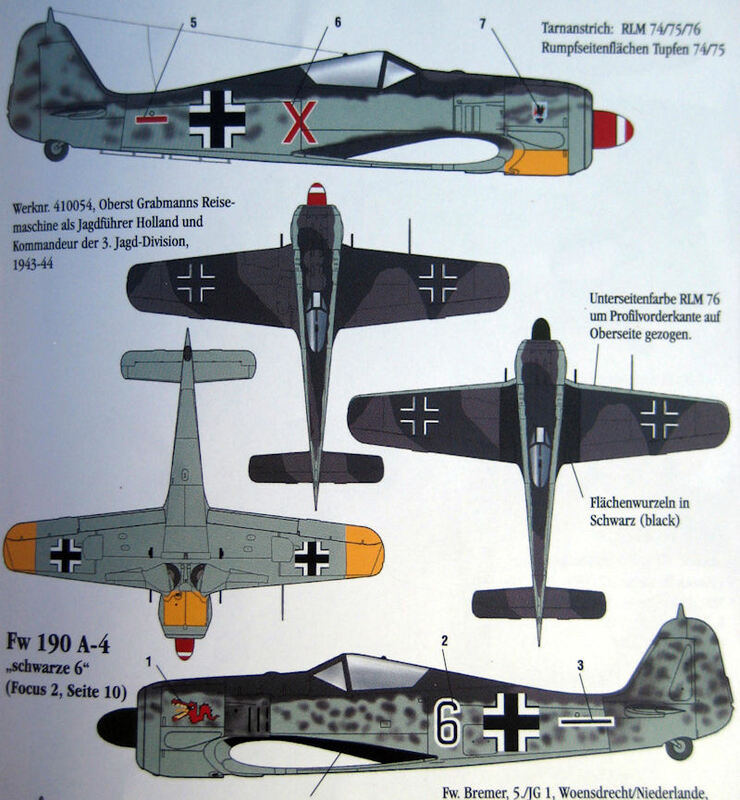 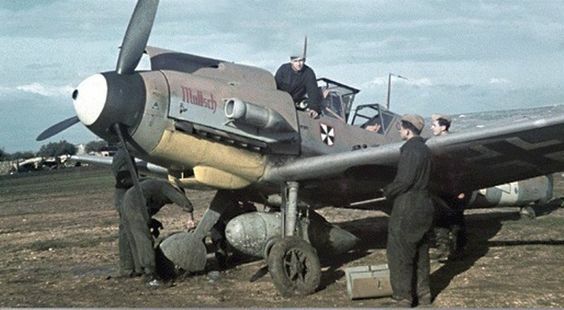 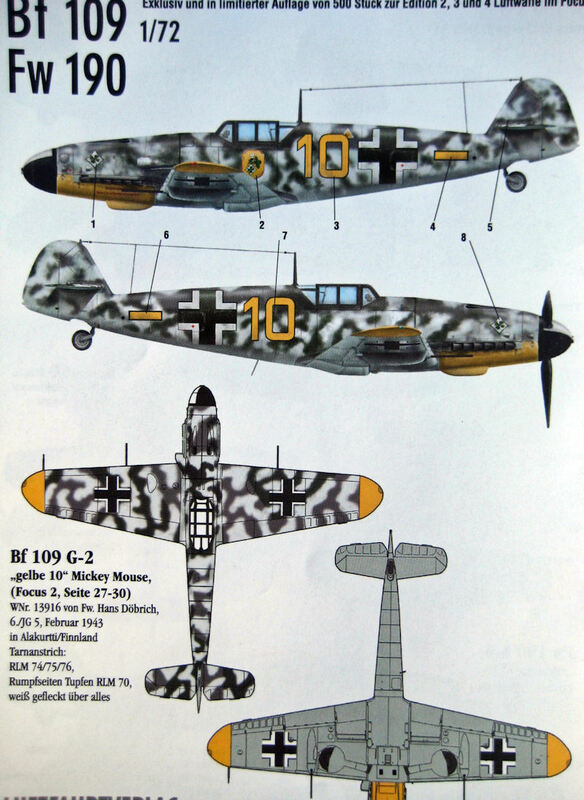 This sheet also features a second Bf 109 G-2 "yellow 10" assigned to JG 5 ace Döbrich.